Located in western-central Massachusetts, Berkshire Snow Basin operated for nearly forty years as a surface lift serviced ski area. In the 1940s, ski racers and instructors Stan and Ruth Brown began looking for a place to build a ski area. After researching snow depths throughout Western Massachusetts, the Browns determined the north face of 2,080 foot Bryant Mountain in Cummington to be the ideal location for their development. Ski Slopes, Inc. was formed by the Browns as a Massachusetts corporation on June 16, 1949. 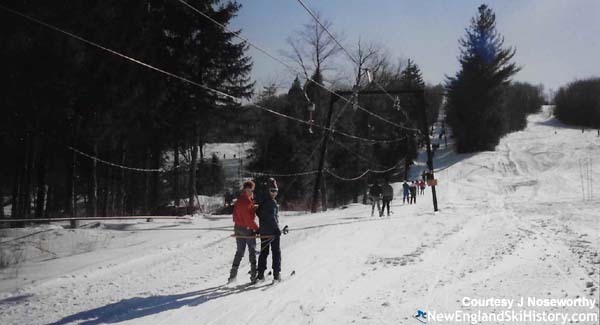 Berkshire Snow Basin was advertised as a 'new and outstanding' ski area that year, debuting with two or three rope tows on the lower slopes of Bryant Mountain. The ski area was expanded upward for the 1952-53 season an when upper rope tow and slope were added. Following this expansion, the growing ski area sported a vertical drop of 500 feet. A new, "long lift" was proposed during the 1957-58 season to help keep Berkshire Snow Basin competitive whilst areas around it were adding Poma lifts ant T-Bars. Despite this announcement, the ski area ended the 1950s with only rope tows. A "long lift" was finally added for the 1961-62 season, as a new Doppelmayr T-Bar was installed adjacent to the College Highway slope. The 2,750 foot long lift served 550 vertical feet. 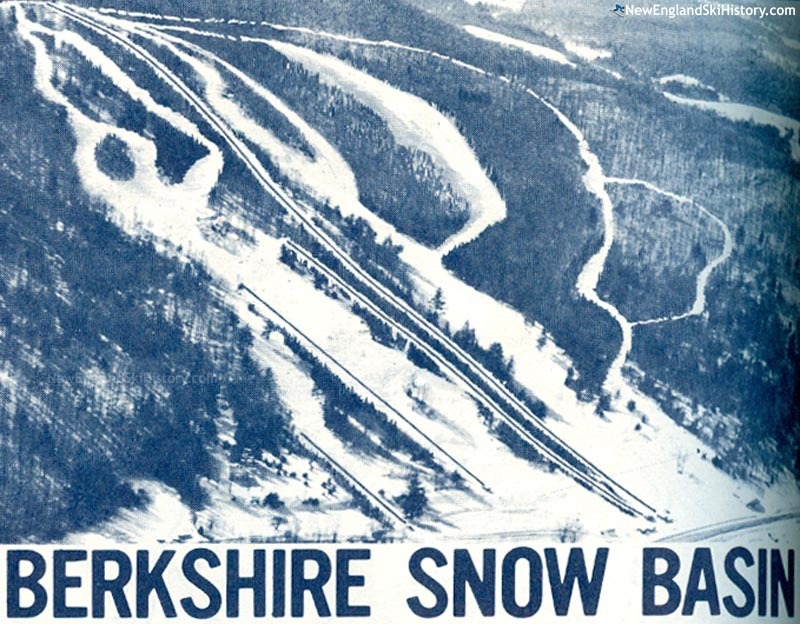 Berkshire Snow Basin attempted to increase revenue for the 1964-65 season, as it transitioned its operating schedule from a three to seven days per week. In addition, a snowmaking system was installed, just in time for a poor snow year. Further improvements took place for the 1967-68 season, as the remaining rope tows were replaced with two T-Bars. The main and upper rope tows were replaced with a Mueller T-Bar, taking some stress off the West T-Bar. In addition, a short T-Bar was purchased from nearby Thunder Mountain and installed on the east side of the facility for novices. Stan Brown passed away in April of 1969, leaving the ski area's future in jeopardy. In the end, Ruth decided to operate Berkshire Snow Basin with her sister-in-law Gladys Brown, becoming one of the first female ski area general managers in the country. In a compelling decision, Brown decided to discontinue the snowmaking system, citing exorbitant rental and operational costs. While much of the New England ski industry went through a volatile stretch during the 1970s, Berkshire Snow Basin remained steady. As she was one to avoid debt, Brown was able to keep the ski area going even after rough seasons, such as 1973-74. Minor projects were conducted, such as clearing of glades and the rebuilding of the main T-Bar in 1977. 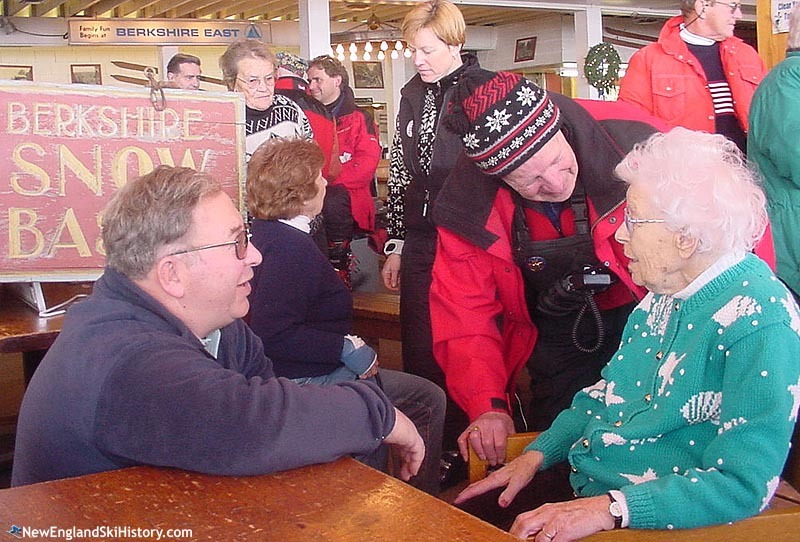 As the end of the decade neared, Ruth Brown was in her 70s and looking for help in running the ski area. Operations were scaled back to weekends and holidays for the 1979-80 season. Help came from nearby in the form of operational leases. Berkshire East operated Berkshire Snow Basin for the 1980-81 and 1981-82 seasons while Jiminy Peak operated Berkshire Snow Basin for the 1982-83 season. Most of the ski assets were sold in December of 1984 to Edwin Waszkelewicz. Additional land was acquired in subsequent months with the hope of expanding to the top of Bryant Mountain, installing snowmaking, and constructing a golf course. While the area likely operated in 1984-85 and 1985-86, trouble was on the way. After failing to operate during the 1986-87 season, Heritage NIS Bank for Savings foreclosed on the ski area in August of 1987. In November of 1987, Cummington Farm Realty Trust purchased Berkshire Snow Basin from Heritage NIS Bank for Savings for $380,000. 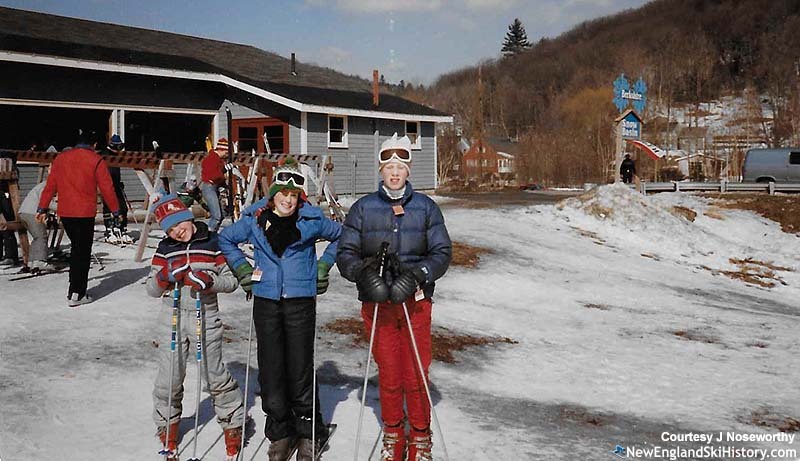 Run by Patrick Goggins and Thomas Beggs, the company opened Berkshire Snow Basin for the 1987-88 and 1988-89 seasons, the latter season featuring a new trail from the summit of Bryant Mountain. 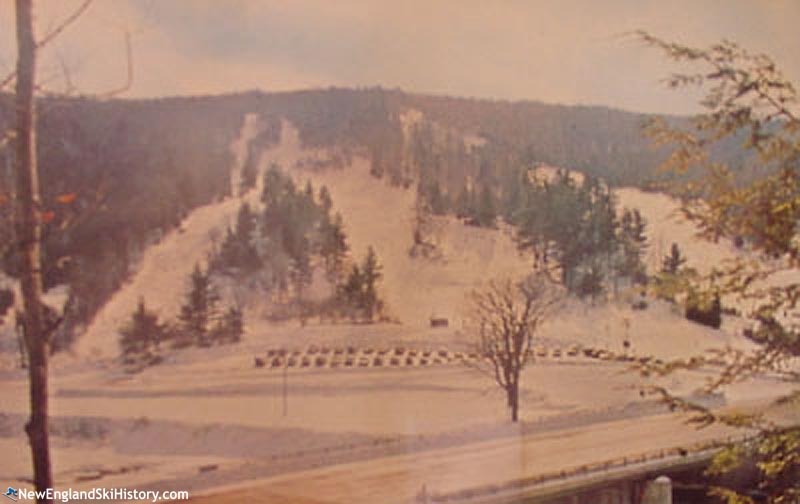 The company also marketed its Cummington Farm Village cross country ski area in conjunction with Berkshire Snow Basin for the 1988-89 season. Larger plans included developing condominiums, cabins, and operating an inn. Beggs stepped down from the company in January of 1989. Due to losses during both seasons and unsustainable expenses, the company transferred Berkshire Snow Basin to the NIS Development Corporation in June of 1989 in exchange for more financing. The Cummington Farms group was to maintain the grounds of the alpine ski area while a lessee or buyer was sought. A 24 room Inn opened on the Cummington Farm grounds in September of 1989. Cummington Farms closed in January of 1990. The Cummington Farms property was nearly sold to New England Adolescent Research Institute, Inc. as a school campus, however local opposition likely halted the sale. Instead, the company went bankrupt in June of 1990. After losing an estimated $3.5 million in the Cummington Farms saga, the Heritage Bank for Savings failed in 1991 and was purchased by Fleet. The Cummington Farm Village nordic ski area was purchased by Peter Laird (co-creator of the Teenage Mutant Ninja Turtles) in 1991 for nearly $1.5 million and developed for the 1991-92 season as the Swift River Inn ski area. The nordic area saw investments of $1.5 million from Laird and featured a rare combination of snowmaking and night skiing. The area likely closed following the 1996-97 season, after which it became the campus of Academy at Swift River. The Academy at Swift River closed in 2014. Addiction Campuses subsequently purchased the property and opened the Swift River Drug And Alcohol Rehab Center in 2016. The Berkshire Snow Basin alpine ski area never operated after the 1988-89 season. 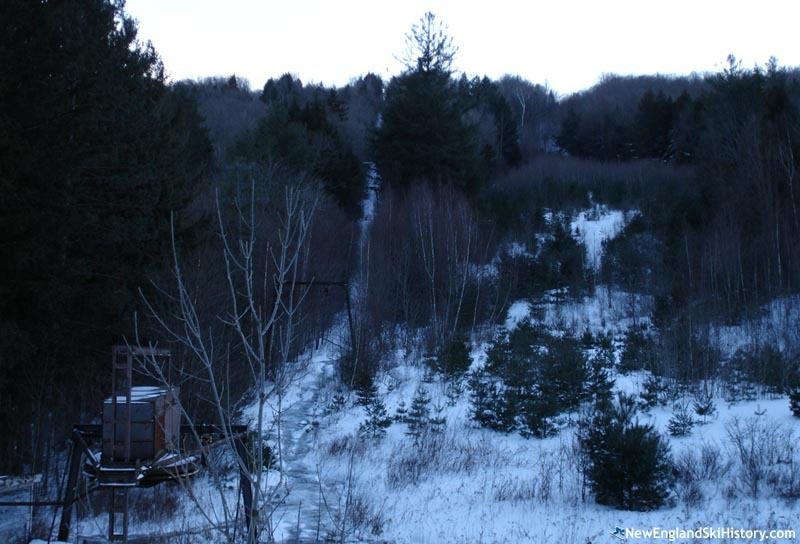 In the winter of 1994, the ski area was sold to the Commonwealth of Massachusetts for $240,500. While lifts and some small buildings remained, the base lodge burned to the ground. Ruth Brown passed away in 2004, just months after celebrating her 99th birthday amongst friends at Berkshire East. One of the last visible parts of the ski area disappeared in 2016, when the West T-Bar was demolished. It is unlikely that the ski area will ever operate again. "First off, I would like to thank my son, Justin, for his hard work in discovering the history of BSB and for finding and sharing the photos my parents had saved from when I was growing up. That is actually my older siblings and me pictured in some of the photos shared above! Oh, those were the good ol days, weren't they? BSB is a remarkably special and memorable place for me and my family. Not only did I learn to ski there in the late 1970s and early 1980s, but I had countless wonderful outings with my friends and family right up until it permanently closed. It was a place I couldn't wait to get to and then never wanted to leave. As a parent of two skiers, I now fully realize and greatly appreciate the time, effort, and money my parents put into each and every day we spent on the slopes in West Cummington. I remember so many things about that place including: the wonderful lodge with its rustic feel and its gravel floor, eating Snickers from the Snack Bar, enjoying my Mom's homemade lunches outside or inside by the fire, the freedom of the runs, the challenge of the lifts (I accidentally broke the arm of a ski buddy once when we both fell off the West T-Bar), the fun washboard bumps at the end of Sugar Run, the A Frame house at the top, the sound of the lift motors and bullwheels, the way the T's would slap against the ground if you let go of them in just the right way, and so much more. Of course, there is one memory that rises above them all. In early January 1986, I broke my leg (left tibia bone)on the Main Slope just below Midway. I remember going off a jump and when I landed, I felt the snap, slammed into the ground, and went into shock. Ski Patrol was on the scene in minutes, if not seconds, and I was expertly cared for by Jimmy Miller and his crew. My sister was on a nearby lift and she could see my distinctive hat from her vantage point. She immediately took off and remained at my side until I was taken down by sled. From there, I was transported by my Father in the back of our Chevy Impala station wagon to Cooley Dickinson wearing a large wooden splint (it was faster to take me directly there versus calling for an ambulance.) After that, I was in a heavy plaster cast for over 6 months and then a walking cast for many months after that. It would be nearly two full years before I the doctor said I could ski again. Two years of time at BSB that I was never able to recover. For any of you old ski patrol-ers who see this message, I thank you for taking such good care of me and ensuring that I was ok on that fateful day. I'm 43 now and I remember it all like it happened this morning. BSB never left my heart or memories. So, several years ago, my two boys and I started going back to explore the mountain. We have hiked it from top to bottom, catalogued it with photos and maps, recovered and restored abandoned artifacts and even dreamed about a plan to reopen it someday. And so, BSB continues to provide lasting memories and opportunities for families to bond. While there might only be a handful of us that still visit it, when we do, we can close our eyes and listen to the echoes of a thousand fun days spent in the winter sun and snow. Thank you. Thank you. Thank you so very much for keeping these memories preserved. " "I was the last one to mow the slopes of the snow basin. Great views in the Fall." 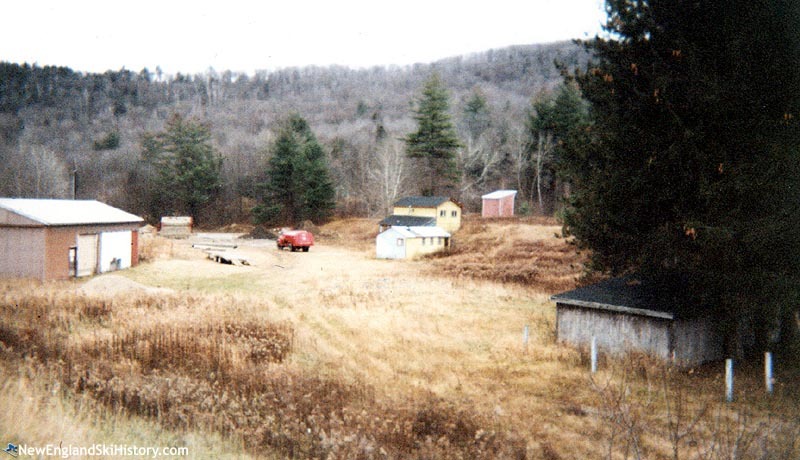 "Does anyone have pictures of the old farm house across the street that was used as headquarters by the Hartford Ski Club? " "I have fond memories of Snow Basin and the old Farm House across the road that the Hartford Ski club used as a headquarters. We had the annual club races there every year. I recognize some of the names above especially Linc and Marti." "I lived just a few miles from the basin and enjoyed skiing there many times. Friendly people, good food, LOW prices. Miss it a lot"
"I was the Snow Basin babysitter on the weekends for all of the children whose parents wanted to SKI!! Changed diapers, fed them, played and prayed for no tears...winter of 1989!" "raced there on Ruthies Run in the western mass high school championships 68 thru 72, then again in the last 2 Stan Brown Memorial Races in the mid 80's (won them both) so my name was on the big trophy in the gravel floored, picnic tabled base lodge till it burned down"
"As a Hartford Ski Club kid, I logged in many days at The Snow Basin. Lots of friends, still in touch with a good number. Spent 25 years in the ski business, but some of my best memories are of 'Rat-Packing' as kids there. Great fun, and good times!" "I skied Snow Basin during the 60's and maybe into the 70's. We were members of the Hartford Ski Club and my father was on ski patrol. I went though the USEASA instructors course taught by Bob Savard,John Bannish and others at the Basin. I also remember the numerous kids that I skied with: Janie, Dotty and others. We had so much fun especially on the jump near the bottom of the T-bar and in the glades to the west of the college highway. I have been patrolling at Mad River Glen, Vermont for 41 years and still have fond memories of the Snow Basin where it all started. " "Hello, Ginger. It's been a long time. Snow Basin was a family ski area, and I too was fortunate to have grown up skiing there in the 60's and 70's. Great snow, great trails, great ski club pot-lucks and great people. 'No I don't ski anymore. I'm retired'"
"Fifteen years ago I lived below the back side of Bryant Mountain in Cummington. A friend and I snowshoed over to the top of the old ski slope with our snowboards. Down below, there were some kids sledding near the lift base. When we emerged from the trees above them, riding down the old lift line, their eyes popped out of their heads!" "Too many wonderful childhood memories to list ! I was a lucky one to have had snow basin - my passion for the sport definitely developed there. For all those snow basiners, I must mention and who can forget ... Gladys' 'last call on the grill'! "